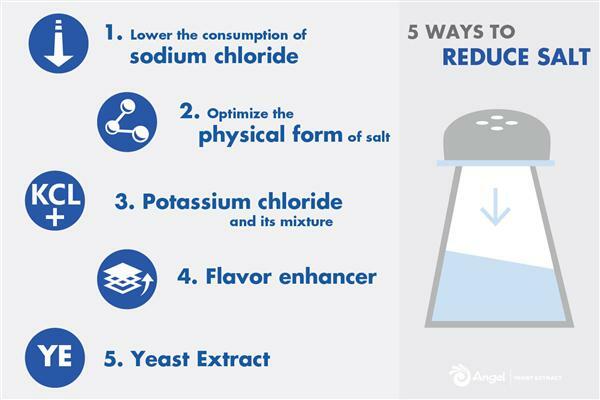 High sodium content cause health problems, sodium reduction become a development trend. According to statistics, there are more than 700 million people worldwide died each year from diseases caused by high blood pressure. The excess sodium (salt) intake cause high blood pressure is a serious fact, to reduce the sodium content in food become the common concern of consumers and health sector. Scientists of UK Department of Health found that salt intaking(sodium chloride) down to 6 grams per day, can reduce the risk with 17% of suffering from high blood pressure. 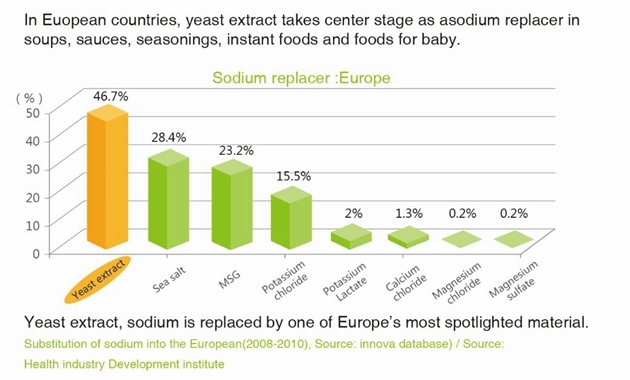 To this end, Europe and other developed countries have repeatedly launched "Reducing salt campaign," according to the US Food Safety News , the FDA will soon introduce a voluntary industry program of salt reduction, many famous food companies such as Unilever, Wal-Mart, have already responded to the salt reduction campaign and guarantee products to reduce salt content. Scientists found that some of the important sources of YE peptide component of Kokumi. 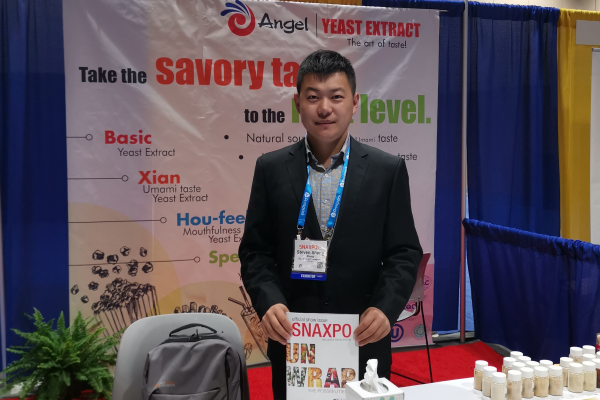 These ingredients can taste in the body to feel the effects of salty taste enlarged(These ingredients can enlarge the taste effects of sodium to the tongue ),therefore, although the salt (sodium chloride) content has been reduced, but the perception of taste is not reduced. Because of this fantastic features YE, and the world has set off a storm reducing salt, to weak the threat to human health. 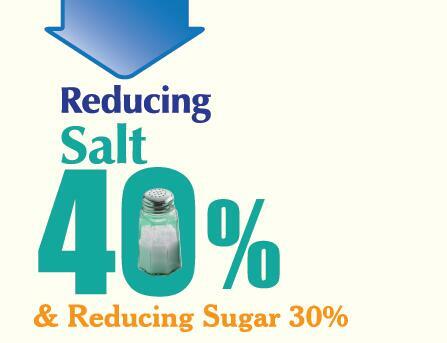 Same to salt, high sugar intaking also bring many health problems. The World Health Organization has noted this issue, and launched No.2002 recommendation - to reduce carbohydrate calorie intake from 10% to 5%. Some countries are now up to 18% of intaking, food industry are aware of these risks .Some large FMCG companies, such as Nestle, Unilever,have taken an important step to reduce the sugar content in their products. 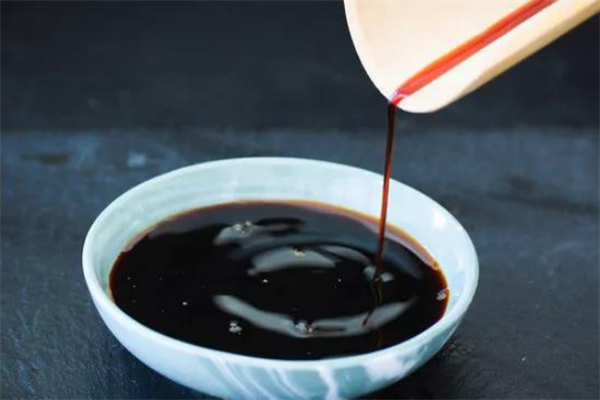 Based on the same principle, the same effect also exists for the use of sugar in food,YE can guarantee food at moderate sweetness of sugar to reduce the amount of the sugar. Therefore, YE in sweet food applications are becoming more and more common. Recommended Angel Yeast Extract to Reduce Salt/Sugar: KU012, FIG22LS.